This is the first book review I’ve done on this blog. I’ve shied away from reviewing books here because I do so much of it elsewhere and Charlotte’s is a space I’ve given myself to ruminate on all kinds of subjects, where I can follow my own quirks and obsessions rather than accommodating an editor’s. 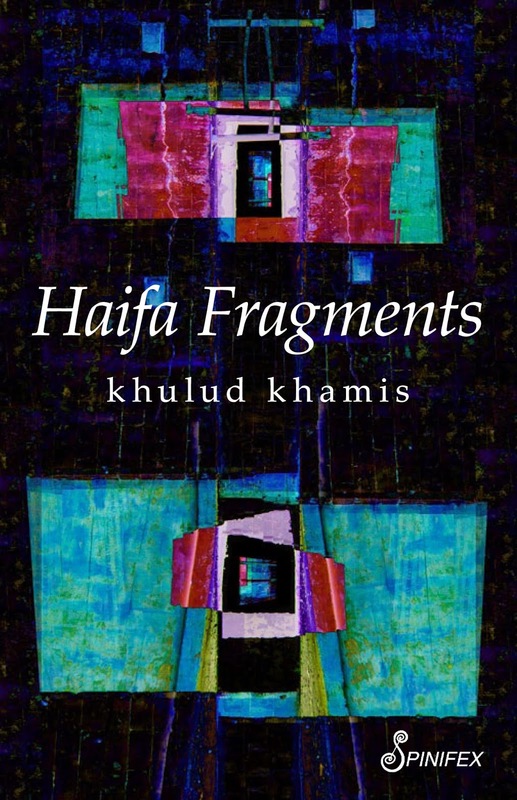 But Haifa Fragments is a special book, a novel set as the title suggests in Haifa, a city where I spent time a while back, on a subject that has been dear to my heart for over a quarter of a century. In 1922 my grandfather’s sister left what was then Bessarabia for Palestine, where she joined the G’dud Ha’Avodah or Labor Legion, a roving socialist collective that did much to further the Zionist colonisation of Palestine by building a network of roads between the Jewish settlements and taking part in the development of Tel Aviv. But my great-aunt, like others in the G’dud, which at one time numbered something like 15,000 Zionist ‘pioneers’, woke up to what they were doing and formed a Communist faction instrumental in mounting a fierce opposition to the mainstream Zionist project. For this the G’dud was not only ostracised but members of the faction were jailed by the British and eventually deported to the Soviet Union. My great-aunt’s story excited me because it demonstrated that Zionism might have taken a different turn, one that could have avoided much of the hatred and heartache that’s followed. In short, a Jewish homeland in Palestine need not have been the Jewish state that Theodor Herzl and his followers desired, but a significant presence in a polity where Palestinians participated on an equal basis. It gave me a clue to a solution for the mess we have now, the ongoing discrimination perpetrated by Israel against its Palestinian citizens and the horrific injustices it inflicts on Palestinians in the Occupied Territories. It seemed from studying the history that what was always needed was a single state, neither Jewish nor Palestinian, but embracing the cultures and rights of these two peoples. And indeed there were Zionists who advocated this all along, but these were effectively silenced, especially after events in Europe took their catastrophic turn. Today, over 70 years after the Holocaust, and given the current hostilities, it’s probable that such a state could only evolve from a federation of three states - say, Israel, Jordan and the Palestinian one, once it gets off the ground. This is the scenario Israeli activist Jeff Halper advocates. This could be a slow, difficult and sadly bloody process, but it’s the only one that, to my mind, makes sense. One state, encompassing the three nationalities and building on their combined strength, which could be a welcome bulwark for peace in the region. There are those, like Miko Peled and others, who point out that, taken as a totality, Israel is a single binational state already, albeit one that is predicated on a brutal form of apartheid. How do ordinary people go about their lives in such a situation? This is exactly the question that Khulud Khamis, the author of this intricately faceted gem of a novel, has chosen to address. Maisoon, her protagonist, is a young Palestinian woman from a Christian family, one of those that defiantly remained inside Israel after Zionists unilaterally declared an independent state and expelled two-thirds of the Palestinian population. While daily confronted with the consequences of this event - the Nakba - and Israel's occupation of what had been Syrian, Egyptian and Jordanian territories that came in 1967, Maisoon’s parallel quest is for independence as an artist and a woman. Her boyfriend Ziyad, a Muslim, finds her both fascinating and unfathomable. He would marry her though he expects her parents would oppose it. Marriage, however, is the last thing Maisoon is aiming for. To be as resigned as her mother? As accommodating as her father? Yet how does a Palestinian woman cut a genuine path for herself with so many social, political and cultural obstacles in the way? Haifa is both an Arab and Jewish city and, as would happen, Maisoon has two Jewish friends. One, Tamar, is a member of the Jewish women’s protest group Machsom Watch. These are the women who stand witness to what Israeli soldiers routinely dish out to Palestinians forced to wait at the many checkpoints dotting the occupied West Bank. It is through Tamar that Maisoon meets Shadh, who lives in a refugee camp and regularly risks her life by sneaking across the border into Israel. With dreams of her own she feels can never be realised, Shadh soon falls in love with determinedly free-spirited Maisoon. Maisoon lives alone in a dilapidated flat in the Arab section of the city. Ziyad is a frequent visitor, that's all. For Maisoon, the flat serves as both statement and sanctuary. It is also her studio, where she designs and makes jewellery. Her days are consumed in developing the right patterns and colours for her creations, the striking bracelets, rings, necklaces and earrings. An old woman arranges for Maisoon to show them to Amalia, who owns a boutique in Haifa’s fashionable Hadar district. After a slow start Amalia becomes Maisoon's business mentor, while Maisoon's distinctive jewellery comes to be the boutique’s principal drawcard, with the promise of export sales and a truly independent future for Maisoon. So there you have it. So many aspects of Haifa, Israel’s most multicultural, multifaceted city. Arabs and Jews, Muslims and Christians, artists and business people and many like Ziyad, who see no real prospect for advancement. Maisoon’s sexuality too is a sharp break from the traditional accommodation represented by her parents. In the confines of Haifa, then, Khamas depicts in microcosm present-day Israeli society. But where is the back story, the history? Maisoon has another quest, not for the future but the past. She tries to make sense of a cache of her father’s old letters, brimming with poetry and passion, letters he wrote when he was young. Now in middle age, Majid seems subdued and distant, nothing like the fiery, romantic youth who comes across in these fragments. As parents generally appear to their adult children, Maisoon’s seem so much smaller than they once had been, with much of life seeming to have been hammered out of them. But as she struggles to carve out that different path for herself, what is revealed of her father's suffering leads to a fuller understanding of the depth of the Nakba’s impact and its decades-long after shocks, on her family and, ultimately, herself. What can the future hold for Maisoon and women like her? What is the future for Israel? No doubt it has already become the Spartan state Hannah Arendt, for one, had warned it would. And what could be the place of Palestinians living within its borders if a Palestinian state ever eventuates? Will Maisoon and others like her be ‘transferred’ across the border, to be uprooted again? What amount of blood will be spilled before these questions can be answered? Sensibly, Khamis makes no attempt to answer them. It is enough that she has left us to pose them.